During this season of giving, St. Patrick School has been the leader! 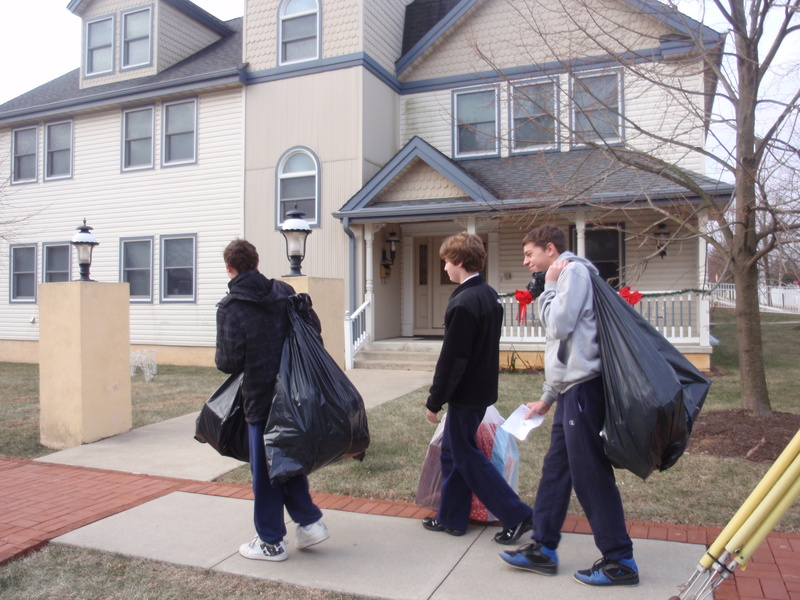 Our families have been amazingly generous during the Adopt-a-Child campaign run through the parish Outreach Committee. We provided toys, books and clothes for 18 children in the local area. Our families went beyond the call – reaching deep to provide a Merry Christmas to those who are less fortunate than we are. 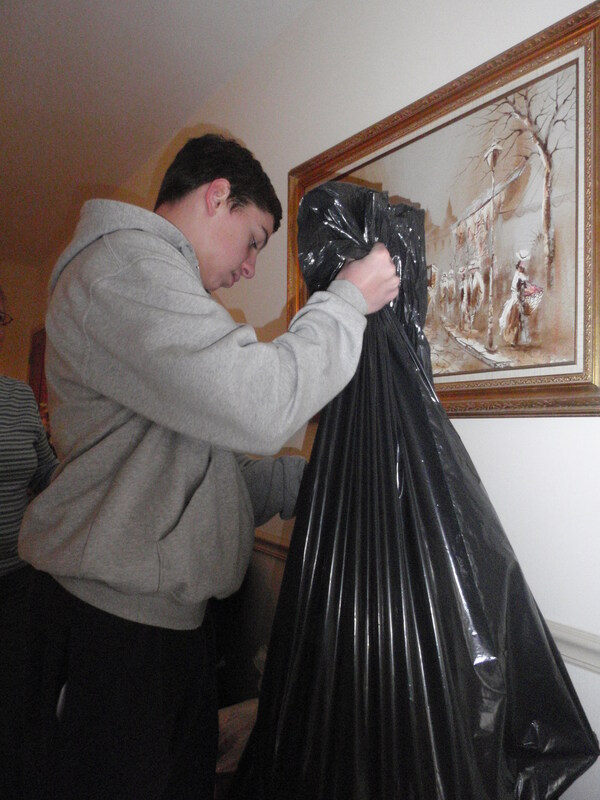 You can tell by the picture that we received so many donations that we had to put all the presents into large bags in order to bring them to the rectory! I am proud of the spirit of giving that exists here – I am proud to be a member of this wonderful school and parish community! Great Job, St. Pat’s! Merry Christmas to all! Sr. Irene is a Sister of the Immaculate Heart of Mary (IHM) who lives at Camilla Hall. Sr. comes every Thursday to teach Spanish to our Kindergarten students. What is amazing about Sr. Irene is that she wants to keep learning. This attitude was on display this past Thursday when Sr. used the Smartboard to enhance her Spanish lesson. The students were engaged and having a blast as they reviewed their numbers, colors, and animals all in Spanish! 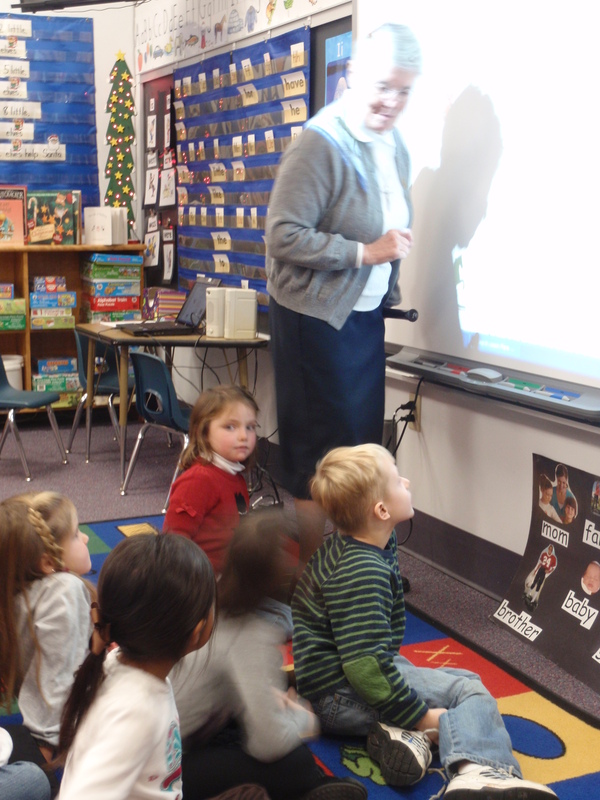 Next week, Sr. plans to continue using the Smartboard to teach weather and clothing. 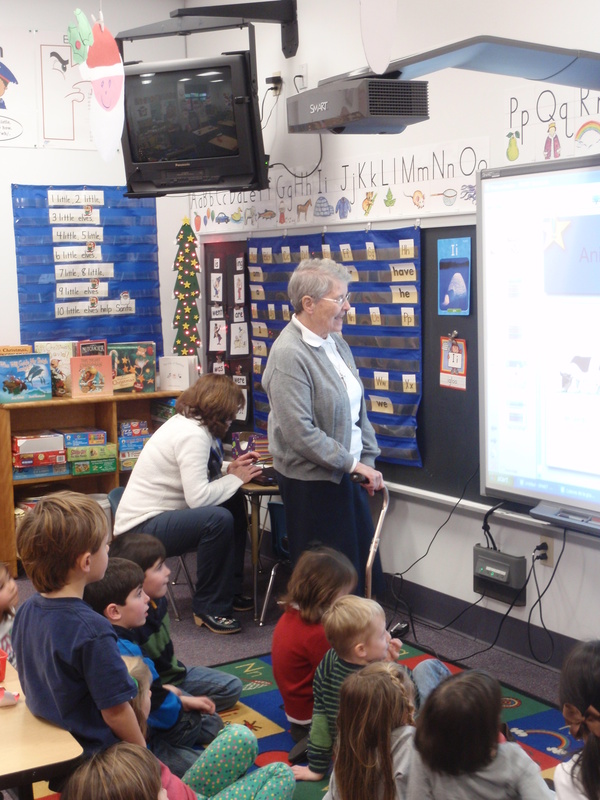 Even though Sr. Irene is retired from full-time teaching, she is willing and able to learn some of the new technologies that are out there – now, that is inspiring! I am having the wonderful opportunity to be attending the Virginia Society for Technology Education (VSTE) conference. The sessions have been wonderful and are causing me to think about new and fun ways to integrate technology into St. Patrick’s. I attended a session on using cell phones in the classroom – how fun would that be – to Google something using the phone or to use a flip camera to film a class play or presentation? My brain is working and working and I am thinking outside the box – love that!!! !